This is a good list. What are you doing to let these things be brought forth in your life? James admonishes us not be just hearers of the Word, but also doers (James 1:22). We make plans for everything else. We plan for our finances, taking vacation, making time for your hobbies, and exercise. We make plans because we want the greatest results. We plan because we care about something. Do you care about your walk as a child of God? Anyone can say they are going to do better. However words without action are meaningless. 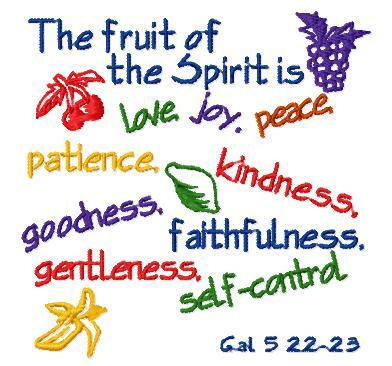 If you want the fruit of the Spirit to flourish in your life, you must make the necessary time to make that happen. You may have to miss your show so that you can go to Bible study. You may have to get up a little earlier to make time for prayer; Jesus did. You may have to give up some things that really don’t matter for issue of eternal gain. How important is pleasing the Lord Jesus to you?